‘If the client comes into your office saying he’s interested in purchasing Caravaggio’s The Crucifixion of St Peter, if you know the importance of that piece, you immediately establish a rapport,’ says art enthusiast and art law master Shane Gleghorn. Head of disputes and investigation at Taylor Wessing, he has worked in art litigation since joining the firm 11 years ago. 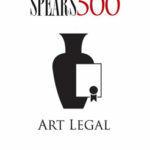 The firm doesn’t act for the major auction houses,which allows it to assist clients without conflict of interest. Gleghorn has experience of cases relating to consignment, provenance, attribution, forgery, financing arrangements or ownership and succession, and is also an expert at managing cross-border multi-jurisdictional litigation and arbitration.